Lonnie Small Jr. picked the right time and place to run from the police. 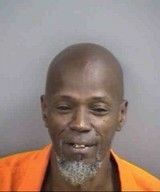 In a rare ruling that hinges on when and where somebody can flee law enforcement officials, a Collier judge on Tuesday suppressed a weapon found on Small, a 53-year-old convicted felon who fled from city police responding to a September 2012 call in River Park. 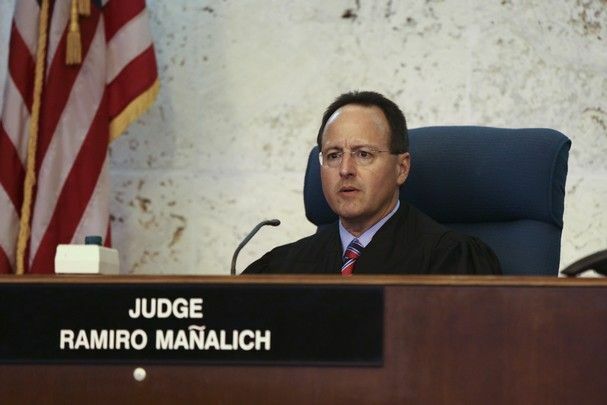 Collier Circuit Judge Ramiro Mañalich found Small, who wasn’t a suspect when police responded to a call of a verbal argument, could legally run from police for two reasons — he didn’t immediately flee on first sight of police officers, and River Park isn’t a high-crime area. The 2000 U.S. Supreme Court ruling in Wardlow v. Illinois, which involved a suspect fleeing Chicago police in a region known for heavy narcotic trafficking, found sudden flight in a high-crime area gives law enforcement the right to arrest. Not only did Small not immediately take off from the scene of the verbal altercation — he first proclaimed his innocence to officers — but Mañalich found 5th Avenue North and 13th Street North in River Park doesn’t qualify as high-crime. Mañalich noted, however, that no precise definition is given for a high-crime region. While prosecutors and Mañalich didn’t dismiss the three weapons and fleeing charges against Small on Tuesday, Small’s lawyer, Steve Grogoza, said it’s likely the case will be tossed. Grogoza said Small faced a minimum three years in prison, though he expected prosecutors to seek up to a 10-year sentence. “They don’t have any evidence now. The motion to suppress throws out the gun,” Grogoza said. Small was released on his own recognizance as he awaits a decision from prosecutors on the charges. He still must post $7,500 bail on separate trespassing and drug charges filed after his weapons arrest. Much of Small’s life has been spent in Collier jails or state prisons. He’s done three prison stints since 1987, including a 14-year term on murder and cocaine sales. Following his most recent prison stay, a 3-year term for cocaine charges ending in 2009, Small has been arrested four times by Collier County sheriff’s deputies or Naples police. Small was out on $11,500 bond from drug charges when he was near the early morning argument in River Park. Three Naples police officers responded, testifying Small walked toward police, professed his lack of involvement in the argument, then started running. Small made it a few hundred feet before officers apprehended him, finding a loaded .22 caliber semiautomatic firearm in his right rear pocket. Police said the River Park area often receives a high volume of calls, which could justify the chase under the Wardlow ruling. Efforts to reach prosecutors and Naples police were unsuccessful Wednesday. Ive read that whole thing and still have no idea why they spoke to him or why he ran. Most poorly written article evAr. Dang. I was hoping you could explain it to me. My best guess is that the judge decided it was ok for the guy to run because A) the cops weren't called to the location because of him, and B) the area supposedly has a low-crime rate (relative to what, I don't know). So basically, the Supreme Court ruling that it was acceptable for police to chase after people who ran didn't apply to this case because the ruling was based on potential drug dealers fleeing from high crime areas because they saw a police officer. If that makes any sense. It's weird. Never mind. I read it again and it does make sense. I'm way too ill to be on the internet. "Collier judge on Tuesday suppressed a weapon found on Small"
It was that sentence that fucked it all up for me, it took me a while to realize they suppressed the evidence, NOT the actual weapon. Isn't the gun the evidence? Yeah, that's what confused me. I was like "why'd they put a suppressor on a gun that is evidence?"